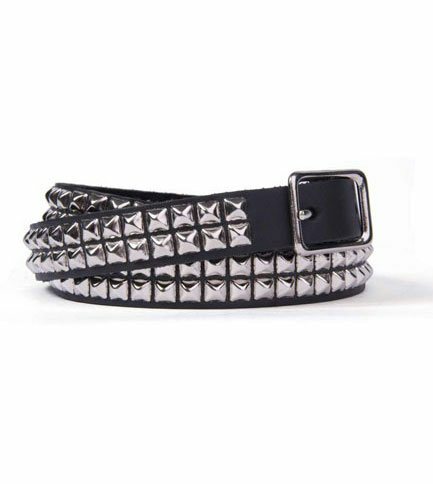 High quality leather belt. 2 rows of small chrome pyramid studs. 0.75 inch width. Adjusted by 5 inches at 1 inch increments. 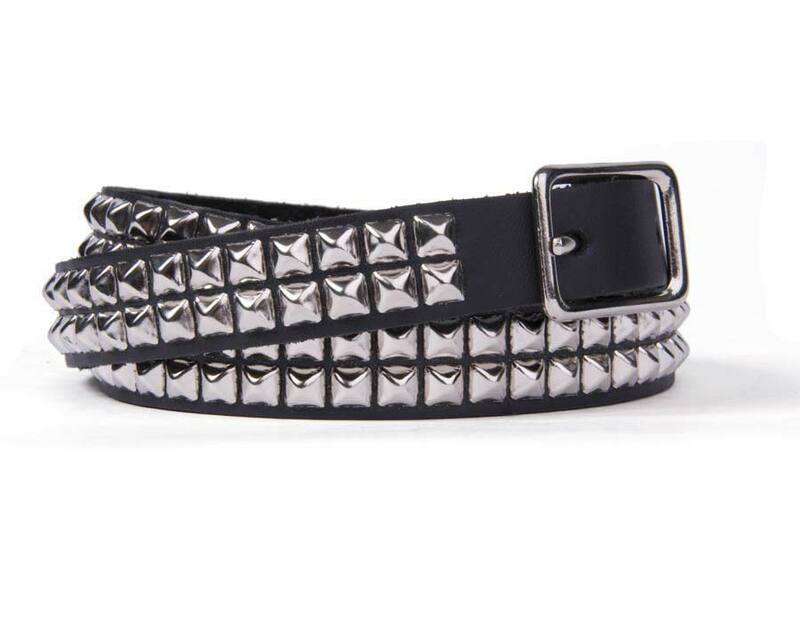 Removable belt buckle. Made in the USA.